(MoneyWatch) It all sounds like science fiction: cars that drive themselves, navigate streets and avoid crashes. 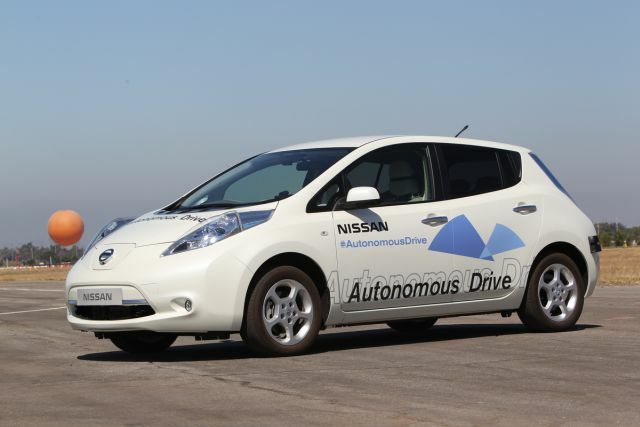 But last week Nissan said it would have such "autonomous cars" to sell by 2020. And General Motors chimed in that it may have a similar model by then. Does this mean that within seven years you will be whisked down the street by your car while texting or making phone calls legally? Probably not. While the technology involving video cameras and radar sensors exists now in experimental form, concerns about how to regulate such cars for highway safety will likely slow their adoption. "The car--no matter how automated--is not yet ready to be more than a co-pilot," said National Highway Traffic Safety Administrator David Strickland in a statement. "And every co-pilot needs a pilot. Before self-driving vehicles can roam our streets, we have to resolve some of the challenges." Congress is also taking an interest in these cars. Yesterday, a driverless car developed by Carnegie Mellon drove Rep. Bill Shuster, R-Pa., from his home in Altoona to the Pittsburgh airport. Shuster, the chairman of the House Transportation and Infrastructure Committee, had a human at the wheel for backup. Beyond safety concerns, consumer acceptance will also be an issue. Like electric-powered cars, the self-driving variety will likely carry a high price beyond the reach of many buyers. And some people simply don't like the idea of riding in a car with no human driver. A recent Kelley Blue Book poll found 53 percent of respondents said they would never buy a self-driving car while only 18 percent said they would consider one now if it were available. Twenty percent said they might consider buying if the technology improved in five to 10 years. Are used cars a good deal again? No matter how good good the technology, you would likely still be able to take over a self-driving car in an emergency. "I assume there would have to be some override functionality in case the system goes haywire or gets hacked," says Michael Omotoso, chief power train analyst for LMC Automotive. He estimates it will be 10 years or so before significant numbers of self-driving cars are on the road. On the other hand, some of the technology involved in self-driving cars is already being used in existing models. Omotoso points out that the 2014 Mercedes-Benz S class can brake and steer itself for a few seconds under certain conditions. Mercedes, BMW, Lexus and some other brands have models with automated cruise control that keeps your car a safe distance behind the one ahead and if the radar system senses an imminent crash, puts on the brakes. In addition, several developments point to progress in developing a self-driving car. Not only auto companies are researching this subject. Google has put resources behind developing the technology. Analysts believe Google, if successful, would try to sell the system to the auto industry rather than build cars itself. Nevada, Florida and California have passed laws allowing self-driving cars on their roads for testing with certain safeguards. Recent studies show Americans driving less, possibly because many people no longer see driving as fun. If you are a driver who now spends lost commuting hours stuck in traffic, a car that safely navigated itself while you read or texted much as you could on a train might seem pretty attractive. It's just not going to happen any time soon.